Step by step instructions for a hairline braid with a twisted bun. All hair is styled away from the face and ears, leaving the face open and fresh, creating a youthful appearance. Tutorial for a beautifully modern and sophisticated formal hairstyle with curls on a short bob. Beautiful up-style for an inverted bob that gives the impression of a side-undercut. How to tutorial with photos. How to style hair up to imitate the main features of a classic pixie cut. Step by step instructions for a half mohawk with braids. A look with a side-swept fringe and curls cascading down the face. Tutorial for a modified vintage French roll. An easy to create up-style that suits most face shapes. A vintage up-style with a large hair accessory that covers almost the entire plain of the side of the French roll. How to style your hair in a high bubble with a braid. A simple updo for a party or prom. How to create a high volume ponytail. A versatile hairstyle for the beach or a party. Step by step instructions for a messy bun. A bun that sits on top of the head. Step by step instructions for an up-style with bangs. A hairstyle with pronounced curls and a shiny surface. Step by step instructions for an up-style with a double twist. A relatively laid back hairstyle that works best with a long finge or no fringe at all. Step by step instructions for an up-style with cascading curls and a flowered hair accessory. A versatile and easy to wear hairstyle that works well with most hair types and face shapes. Step by step instructions for a sophisticated chignon. How to roll and style hair to create a chignon with a glossy elegant effect. 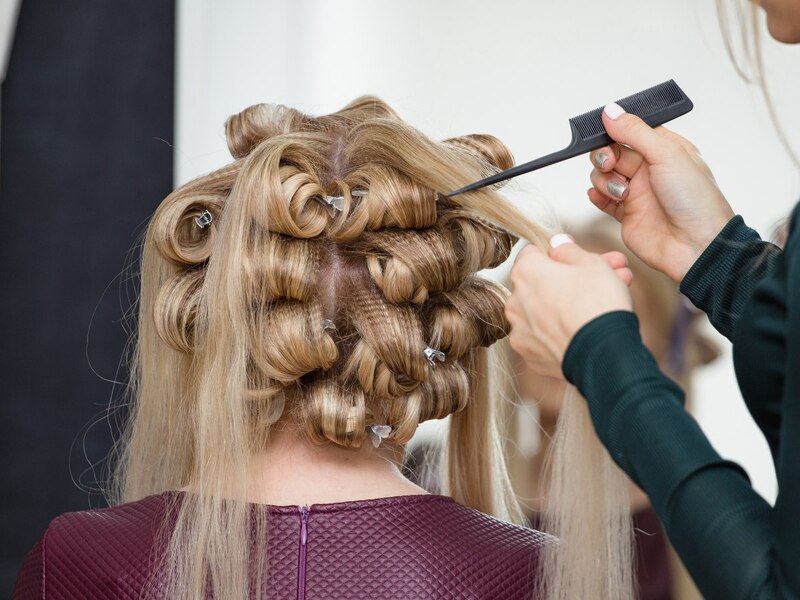 Backcombing or teasing the hair is a technique where you can build-up the lower layers of the hair and can create a fuller, more-voluminous looking style. 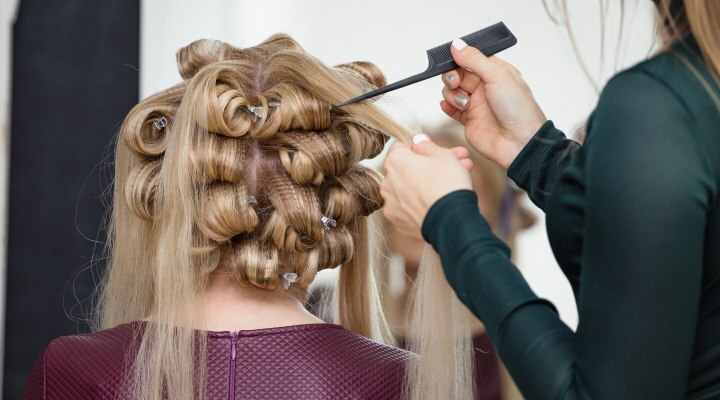 How to create a sock bun with colored hair extensions. A versatile hairstyle for a party. All over the world women wear flowers in their hair. Flowers can transform simple hairstyles into adorable creations, but they also tell messages. Styling technique for an up-style that is more comfortable for those women with tender scalps.